My general research interest lies in medical decision making. More specificlally, my research is focused on the development, validation, and use of prediction models. Most of these models are available online, and designed for physician use, at http://rcalc.ccf.org/. I am also interested in quality of life assessment to support medical decision making (such as utility assessment), decision analysis, cost-effectiveness analysis, and comparative effectiveness. Before getting into specific research interests, here are some useful statistical reporting guidelines. Here are the requirements for having a statistical prediction model endorsed by the American Joint Commission on Cancer. Here is how we process data from Epic to make it research ready. In the TRIPOD group, we came up with a checklist of what should be reported in a paper presenting a prediction model. Making a prediction model when there is a time-varying covariate. Propensity scores do not improve the accuracy of statistical prediction models. Here's the code to make binary, ordinal, and survival outcome nomograms. Here's how to make a competing risks regression nomogram. Detailed R code is here. Here's a decent way to compare two rival prediction tools that both predict on an ordinal scale. How to make a calibration plot for a prediction model in the presence of competing risks. How to estimate a time-dependent concordance index. This is why you can't compare two prediction models tested on separate datasets. The figure is updated here. A guide to the many metrics for assessing prediction models. How to determine the area under the ROC curve for a binary diagnostic test. The concordance index is not proper. Use the Index of Predictive Accuracy (IPA) instead. As cancer survivors, we like to think we both needed the treatment we received and were cured by it, but that is hard to prove. Here's an example of how patients should be counseled: a table of tailored predictions of benefits and harms crossed by treatment options. It is useless and confusing to put confidence intervals around a predicted probability. You must apply a statistical prediction model to achieve informed consent. What is a real nomogram anyway? My definition of comparative effectiveness. Too often we diagnose patients based on some arbitrary cutoff. Let's stop doing that and recognize risk is on a continuum. Don't just look at the p-value when judging a new marker. Cancer staging systems need to go away. "I'm a patient, not a statistic" is bogus. Here is how we make our online risk calculators. Patients found our risk calculator decision aid easy to use and useful. The wisdom of crowds of doctors: averaging their individual predictions improves accuracy over the individuals themselves. The method used to measure utilities affects the decision analytic recommendation. Unfortunately you probably have to measure individual patient utilities to run a decision analysis on someone. Stop multiplying health state utilities to get the utility of the combined health state. Why utilities are more helpful than traditional health-related quality of life measures with respect to medical decision making. The layout of the time trade-off is problematic. How to measure standard gamble on paper. Here's an example of how to make a synthetic control arm for a single arm study, using a prediction model. Here's how to calculate the p-value. Rather than running a decision analysis at the bedside, apply a nomogram instead -- much easier and same answer. 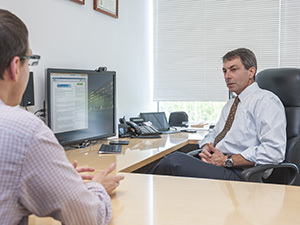 A panel of urology experts from eleven universities and medical centers across the United States and United Kingdom, including Cleveland Clinic, recently published a new set of guidelines for reporting statistics in urology research. Guideline recommendations are based on the consensus of the statistical consultants to four leading urology medical journals: Urology, European Urology, The Journal of Urology and BJUI, and will be published in each of the four journals. 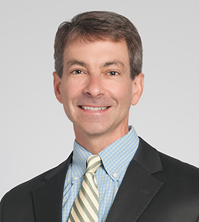 Michael Kattan, PhD, MBA, Chair of Lerner Research Institute's Department of Quantitative Health Sciences and a joint appointee in the Cleveland Clinic Glickman Urological and Kidney Institute, has been elected a Fellow of the American Statistical Association (ASA). The formal induction ceremony will be in Vancouver this coming July. Dr. Kattan was nominated by an ASA-member peer for his excellent reputation and outstanding contributions to statistical science. 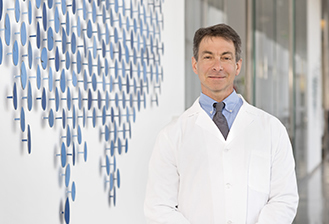 Michael Kattan, PhD, Chair of Quantitative Health Sciences, has been named the holder of The Dr. Keyhan and Dr. Jafar Mobasseri Endowed Chair for Innovations in Cancer Research.